Wow - pretty powerful and right on point. I'm glad the Muslim terrorists who killed him didn't ask if he was gay. One can only imagine the torture they might have inflicted on him. Not sure why should all read this. I did, and it didn't move me very much. Trump did Obama, Hillary, Democrats, and Islam an incredibly HUGE FAVOR. Who ever would have thought there would be such a tidal wave of support for Muslims one week after a terror attack in the United States? He basically pushed the Muslim population, already favoring Democrats, further away from the Republucan party. In an election when the GOP should have taken the White House with ease, Trump is hurting the party immeasurably. The only way he might succeed is if there are two well-timed terrorist attacks in the US, and they're so devastating that the country is shell-shocked ala 9/11. Who could ever hope for that? Per NYT SB terrorist talked about jihad openly and freely on social media. US visa vetting process missed all of it. More voices are now calling for a moratorium on all immigration, or at least on all visas from "certain" countries, including much of Europe. "More voices are now calling for a moratorium on all immigration, or at least on all visas from "certain" countries, including much of Europe." I have to admit I like Trump because he says what people think as seen here. I like his mettle. Cruz will have to be able to beat the hildebeast, he'll be the nominee. Trump doesn't, need, or care about, lying to get what he wants.....He tells the truth no matter the consequences......You know Real, alot like me and you! That's what I mean bluedog, I sure couldn't keep from telling the truth either much like Trump. I'd be doomed running for dogcatcher. The truth will trip Trump. People don't like to hear the truth as evidenced by who they elected the last 8 years. The bloody pantsuit proved that the truth is overrated. That's why people despise Trump. Thinking that Trump tells the truth is a real laugher. If you believe that, you're a fool. He says what people want to hear. He says it in blunt or rude terms because he's a showman. He has no policies, proposals, or solid ideas. Everything he says is a big blast of hot air. He just blows his hot air in a politically incorrect way, so the wannabe believers buy it. Thinking that Trump tells the truth is a real laugher. If you believe that, you're a fool. I believe Cruz first [with my vote, I sent Senator Cruz to do exactly as he has done, worked for his people] and Trump 2nd. If they all lie, then they all lie. I'll stick with those that haven't lied about matters that MATTER to me. They can lie to the rest of you, I don't care. Howz that? The blood of 14 murdered Americans is directly on Obama's hands. Here's a good one for you, courtesy of Harvard University. A gift from the University to all freshman, so they know how to talk to their families about important social justice issues while they are home on break. Just to be clear, you believe the actions of one person represents all Conservatives in America? She can't seem to find an original sentence with a dictionary and a flashlight and takes the actions of one crazy person and demonizes an entire political party. After this recent post, I'm glad you have never tried. Good deal right now at Cabela's on a Taurus 9mm compact. The wife bought herself a deluxe purse for Christmas, and told me it was from me. Well, she's also going to get a carry weapon and ammo as well. Heading over there this weekend (nearest Cabela's is a ways from me). I was going to get her a Galaxy S6 Edge. Those stupid things are $700. She'll be happier with the Taurus, and it will cost half as much. Well, by the time I got around to it, they were sold out locally, and in several neighboring states. I called about 10 local shops, and they were all out. So, I bought one at wholesalehunter.com. $238 plus shipping ($25), with a $50 rebate if purchased before 12/31. If you're interested, a free year of NRA membership as well. FFL transfer fee for a local shop is only $15. I was listening to the radio as the wife ran into a store and they reported that "guns" are "at the top" of the gifts being purchased for Christmas. Coach - this one I jut bought will actually be more for the wife than for me. She wanted a concealed carry weapon for Christmas. Some years ago, when the kids got to be a little older, I had to get rid of all my hunting weapons, because she was afraid to have them around. Now, she wants a pistol for Christmas. Spot on analysis of what drives liberals and Dewey in particular. I'll post both the link and the body of the article. Conservatives care about logic. Liberals care about emotion. Conservatives care about whether a program works or not. Liberals care about how supporting a program makes them feel. Conservatives take the positions they do because they believe they’re best for society. Liberals take the positions they do because they make them feel and look compassionate or superior to hold those positions. For example, let’s say Bill Gates makes $10 billion this year and gives away $500 million. Meanwhile, a middle class accountant makes $50,000 and gives away $5,000. We could argue about who’s more compassionate. After all Bill Gates gives away more, but the accountant gives away a bigger percentage of his income. Furthermore, there are limits to what both men can and should do. If Gates gives away so much money that Microsoft goes out of business and the accountant gives away so much money he loses his home, we’d consider them to be fools. Compassionate fools, but fools. This creates limits on what truly compassionate people can do. Many people talk about compassion, but only a few are going to go work overseas like Mother Teresa, consistently give 10% of their income to charity, or adopt orphaned boys. On the other hand, 99 times out of 100, liberals’ “compassion” is nothing more than “virtue signaling.” They’re offering to take your money and give it to someone else. They’re offering to take rights away from other people that they don’t care about. They’re saying people are racist, bigoted, sexist or homophobic for disagreeing with them. This creates a situation where people have to keep on upping the ante to stand out. If racism is almost universally despised, how do you get credit for being more sensitive about race than other people? You find new things to call racist. 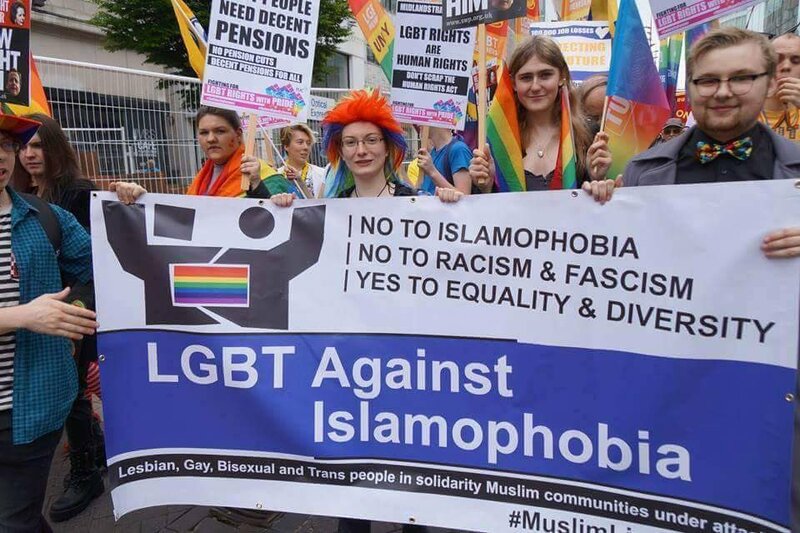 Eventually, when liberals moved beyond parody when it came to race issues, they showed they were compassionate by obsessing over the 3% of the American population that’s gay. Then from there, they became maniacally focused on the .3% of the population (if that) that claims to be transgender. The problem with this is that compassion, real or fake, has little to do with what makes a society successful. Capitalism is not warm and fuzzy. Contrary to what some people seem to believe, diversity and sensitivity to women’s issues are not what makes a military successful. In fact, the most effective policies are often not very forgiving or compassionate. So, when you have a large block of the country that completely abandons what works for whatever makes liberals feel good and look more “compassionate,” it creates enormous amounts of dysfunction. It’s like picking which car you’re going to drive in a race because of the paint job. A paint job isn’t irrelevant, but it’s also not going to win the race for you. Unfortunately, people with this mindset are only able to figure out that they’re doing something wrong after the car crashes and the whole country is along for the ride. Whoops - here is the link. I always wondered and now I know what makes a libtard tick. Awesome explanation that probably deserves a thread all it's own for the readers and the freshman parents. Conservatives are throwing their support behind a dangerous, according to a high military official, Donald Trump as well an extremely illogical candidate in hopes they "might" get better SC Justices than a Democrat President might nominate. I find this approach anything but logical. Liberals care about preventive health care for all and security for the elderly, security paid for during their working years. Liberals also care about civil rights, right to vote, justice for all, maintained infrastructure, national security, immigration reform, help for the needy, and many other things I've mentioned many times before. If you're a Progressive, never allow anyone to paint an inaccurate and negative picture of your beliefs. A U.S. immigration official blamed in a federal report for barring law enforcement agents from a suspect in the San Bernardino terror attack has been nominated for a prestigious agency award – but her bosses in Washington refuse to say what she did to earn consideration. Irene Martin heads the San Bernardino U.S. Citizenship and Immigration Services office, where last December, she allegedly blocked five armed Department of Homeland Security agents from the man authorities say supplied the firepower in the deadly attack a day earlier. Although an Inspector General's report found she acted improperly, and then lied to investigators, FoxNews.com has learned she has been nominated for the Secretary’s Award for Valor. “To give Irene Martin an award for valor is insulting to all the prior awardees – the agents and officers who truly displayed valor and risked their lives to save someone else,” said Jessica Vaughan, director of Policy Studies for the Center for Immigration Studies, a Washington-based research institute. Past valor award recipients include government employees who have saved people from burning cars, sinking ships and weapon- wielding assailants. FoxNews.com was told the information could only be released in response to a Freedom of Information Act request, which has been lodged. Martin was blamed for touching off a turf war that came to light when whistle blowers told Senate Homeland Security Chairman Ron Johnson, R-Wisc., about the tense, Dec. 3, 2015 incident. It came a day after Tashfeen Malik and Syed Farook killed 14 and wounded 22 in the terror attack. Authorities believe Enrique Marquez, who had an appointment with Martin's staff when the authorities showed up, gave them the guns used in the attack. The potential award for Martin was announced on a conference call from high-ranking USCIS officials in Washington during a staff meeting held at the San Bernardino office where Martin also was present, sources told FoxNews.com. The USCIS and the agents who had been sent to detain Marquez are part of DHS. The nomination from Martin’s superiors was stunning to staff members because it was announced just days after a June 1 DHS Inspector General’s report found Martin improperly hindered the work of five armed agents on site just 24 hours after the attack. Johnson held two Senate hearings about the incident in May and requested that the Inspector General’s investigation. The report noted DHS agents were sent to the USCIS building to arrest Marquez, who authorities were frantically trying to track down the day after the terror attack at an office Christmas party. Marquez, it turned out, had not shown up for his scheduled appointment at the USCIS building, but Martin kept agents waiting 30 minutes before meeting with them, and another hour before she turned over the USCIS file on Marquez. Marquez was eventually arrested and is being held on charges related to supplying the guns as well as marriage fraud. Martin also lied to the Inspector General’s investigators, according to the June 6 report, about her role in what has been characterized as a turf battle. Lying to federal investigators is a felony and can result in dismissal and criminal charges. Arlen Morales, spokesman for the DHS Inspector General, would not confirm whether his agency had made a potential criminal referral involving Martin’s testimony to the US Department of Justice, saying the Inspector General does not discuss any ongoing work. Vaughan suspects the award could be a further politicization of the Dec. 3 incident, which left DHS law enforcement officials furious and at a disadvantage as they tried to close in on any accomplices to the Dec. 2 terror attack. “Irene Martin’s nomination for this valor award is scandalous,” said Vaughan. "but agency won't say why"